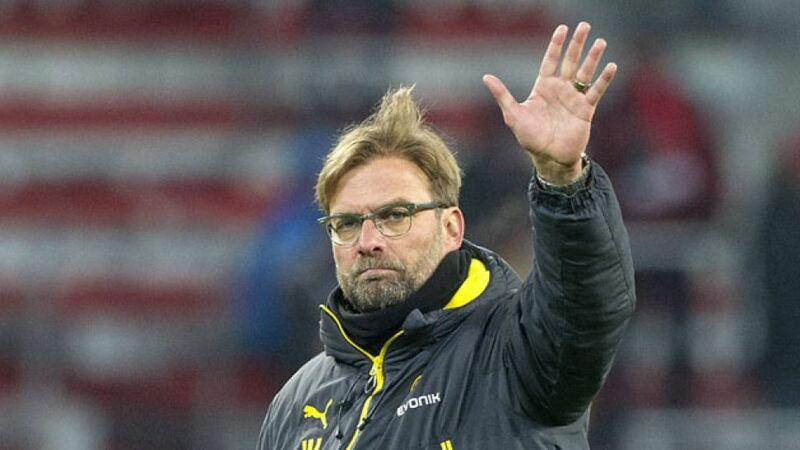 Dortmund - Jürgen Klopp has announced that he is going to step down as Borussia Dortmund head coach at the end of the 2014/15 season. The charismatic coach confirmed the news at an emotional press conference on Wednesday afternoon. It was a rather unexpected step from a man who has defined a remarkably successful seven years in the Westphalian club's history. Back-to-back Bundesliga triumphs, a DFB Cup win and an appearance in the 2013/14 final of the UEFA Champions League were the highlights of a thrilling ride for the former 1. FSV Mainz 05 tactician, who took office in Dortmund in 2008. With Borussia languishing in tenth in the Bundesliga with six games of the season remaining, though, it was not such a surprising announcement. Klopp's career with Dortmund has been synonymous with success, and he felt he was no longer the right man to lead them forwards. Jürgen Klopp: “No-one needs to be grateful to me. It‘s been a fairy-tale journey. Both sides [the club and himself] have invested so much. I will always support this extraordinary club. I always made sure to ask myself this question [did he want to continue in the job?] at all times, as I believe that’s important. And in the last few weeks and months, when I asked myself the question, I couldn’t always answer with a definitive yes. There has been an element of pressure on us recently and we didn’t want to let that pressure on the club build in the next few months and the summer. “You can imagine how unbelievably tough this is to leave behind something as brilliant as this. It’s extremely difficult say to it, but we’re professionals and you have to make a decision. I believe the decision is absolutely correct. This club deserves to be coached by someone who is 100 per cent the right person for the job, and a decision had to be made. I read this morning about myself being tired. That isn't true. I'm not tired and I have no plans to take a sabbatical, but likewise I have no plans arranged with other clubs either, nothing at all.